Ever since childhood, we’ve been taught that CPU is Brain of the Computer! Most people seem to forget it when they have to purchase a computer, though. It’s probably because most of us did not know about CPUs in the first place. We did not know how they work or factors that mattered. And, that’s why people do end up purchasing a random Processor. In fact, there are a few basic things you should know about the CPU. In this article, we go through some concepts like cores vs threads, Hyper-Threading, is Hyper Threading worth it? and obviously the most basics of Processors you should know. First, we will have an introduction to Processors, which are technically called the CPU. What is a Core Processor in a Computer? As 99% of you know, CPU stands for Central Processing Unit. This is the central component of every computer – by a computer, we mean PCs, Laptops, Smartphones and many other gadgets. In other words, anything that computes has a processor inside. CPU is where all the computational calculations are carried out. It is done with the help of directions and instructions from the Operating System. So, this is the basic thing about CPUs. There are some sub-units for every CPU, such as Arithmetic Logical Unit and Control Unit. It’s too technical, and we should better skip. One CPU can process a single task at a time. This isn’t really good for performance, you know. So, there is a story about how we got this scenario of performance-rich multi-tasking. To understand the current situation with CPUs, we should take a look at the history of Personal Computing. By one CPU, we mean a CPU chip that is inserted into the processor socket. So, in the early times, one of such chips would take care of a single task at a time. At the old times, people needed more performance from computers. Their idea was to include multiple CPUs in a computer. That is, there would be multiple sockets and multiple chips. All these would be connected together and to the motherboard. So, technically, they can expect better performance from the PC. This was a quite successful method until people found out the disadvantages. It was necessary to provide dedicated power supply and installation resources for each CPU. Because they were different chips, the latency for communication was way too high. This wasn’t really a good thing for performance. Last but not least, a collective of CPUs can produce a lot of heat in the long run. So, you would need a bunch of resources for dealing with the extra heat. And, that was how the concepts of Hyper-Threading and Multi-Core CPUs came into the scene. The idea of connecting different CPU Chips wasn’t really good for performance. Then came the idea of having two Central Processing Units inside a single chip. 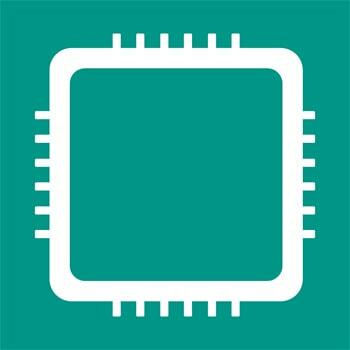 We hope you understand the difference between a Chip and a Central Processing Unit. So, as the next effective step to performance, manufacturers included multiple Central Processing Units into a single processor. These units were called ‘Cores’. These processors were called Multi-Core CPUs. So, when the Operating System looks, there are two CPUs. Instead of dedicating storage and power supply for separate chips, Multi-Core CPUs did the job of the extra performance. Of course, there were other advantages too. Because both CPUs were on the same chip, latency was lower. This helped in better communication and enhanced speeds. Currently, you can see a wide variety of multi-core CPUs in the market. In Dual Core processors, there are two Processing Units. On the other hand, if we take the case of Quad Core processors, you would spot 4 Processing Units. This number goes up, according to the processor you’re purchasing. Parallel Computation has been in the industry for a while. 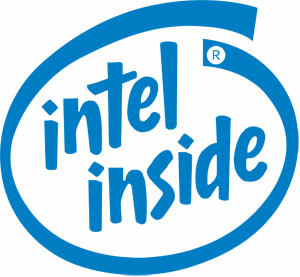 However, it was Intel who brought the benefits of same into personal computing. And, there, it was called the Intel Hyper-Threading Technology. It’s great if you get some idea from the name, but we can explain all of them from scratch. Intel Hyper-Threading Technology makes your Operating System believe that there are multiple CPUs – in fact, there is only one. It’s a kind of pretension, to enhance performance and speed. 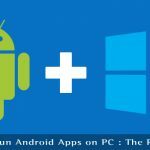 Suppose you have got a Hyper-Threading-enabled single-core CPU; in that case, the Operating System will find two logical CPUs in total. Similarly, if it was a Dual Core CPU, the OS will spot four logical CPUs. These logical CPUs manage to enhance speed through the use of logic. Hardware execution resources will be split and arranged, as to give the best speed for multiple processes. As you can see, the whole play is virtual. So, the answer to the question- How many threads per core? should be like this – The processor, with the help of Hyper-Threading, is trying to fool the Operating System. Although not so awesome, this setup can provide somewhat better performance. Cores vs Threads – Is Hyper Threading Worth it? If your Computer has a multi-core CPU, it means there are multiple Central Processing Units. It also means you can have better performance than a single-core CPU. On the other hand, multiple threads are something virtual. Here, the technology uses extra logic to manage multiple tasks. Because of this, the total performance will not be really visible. So, if you want to really compare, we can say something. Multi-Core CPUs are always better than single-core CPUs – no matter whether Hyper-Threading is there. However, if you take two single-core CPUs – one with hyper-threading and one without hyper-threading – the former will perform better. Well, that’s the real difference between Cores and Threads that you should know. The Current Scenario – Determining How Many Cores do I Have? As you k the ow, majority of computers today are shipping with Multiple-Core CPUs. At least, you can spot Dual Core processors in almost all the laptops out there. Of course, though the minority, there are some single-core CPUs as well. While the choice is yours, there are some other factors too. For instance, it’s good if you can get a multi-core CPU with Hyper-Threading technology. This can enhance the total performance of your PC, especially while multitasking. Suppose you have a Quad Core processor with Hyper-Threading. Then, you can virtually have the performance of a total 8 logical CPUs. We hope we have given a clear idea about the basics of CPUs, Hyper-Threading and Multi-Core CPUs. 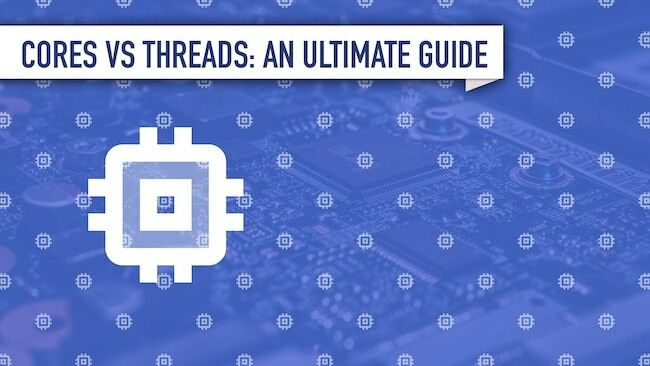 We do also believe these tips for threads vs cores will help you choose the right processor for your computer. Thanks for sharing rare information about Processer and CPU(Central Processing Unit). Most of the time when elderly people purchase a computer they don’t understand that CPU and its power does matter for the long run. This really helped me a lot. Thank you. Now, I know the difference between Cores and Threads and their importance when purchasing Computers. This is really helpful for understanding about the CPU, I was not aware that dual-core means dual cpu, when I first bought my pc.